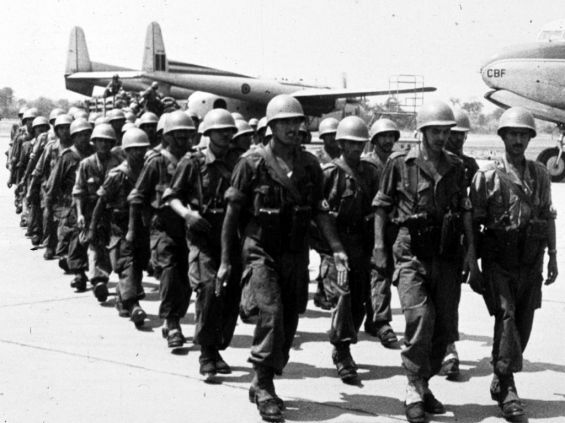 On the 9th of June 1966, Morocco decided through a royal decree to apply conscription. A decision that forced all Moroccan men to undertake 18 months of compulsory military service. 40 years later, mandatory military service was abolished as it was hard to be carried properly. On the 9th of June 1966, a royal decree was launched giving a start to mandatory military service in Morocco. Under the sovereignty of King Hassan II, the text forced every Moroccan man aged between 19 and 40 to join the military service for an 18-month training period. Conscripts according to the Royal Decree N. 137-66 of 20 Safar 1386 (9 June 1966) on the establishment and organization of military service, are expected to serve for one year and 6 months. The military service training had two major objectives to deliver which are namely : «A basic training which will enable them to contribute effectively and in all circumstances to the defense of their land», and «technical and vocational training to raise their social standards so they can contribute to the development of the country», states the decree. Returning a call-up notice to join conscription was obligatory, and if a man refused to serve in the military he risked being fined or imprisoned. Article 23 from the same text points out that the fine could reach «500 Dirhams» while jail terms for men found guilty of avoiding compulsory military service, ranged from «eight days to one month». As for the way the procedure of selecting conscripts was maintained, every 18-year-old young man was supposed to go the Qaid, a local governor that represents authorities in a communal region. The latter is the one assigned with the task of determining and deciding whether the person in front of him is qualified to serve as a conscript. Once that step is decided, the young man is asked to bring a file with all the documents required and he must expect to receive a call-up notice to be part of the military training. Even if he is not called, he is considered in the eyes of the law as «being suspended from appeal». In 1999 the period dedicated to mandatory military service was reduced to 12 months by law. 7 years later, precisely on the 31st of August 2006, Morocco banned conscription. «This text of law came to abolish the obligatory military service with immediate effect, according to the instructions of his Majesty King Mohammed VI, the Commander-in-chief and the Chief of staff of the Royal Armed Forces», junior Defense minister, Abderrahmane Sbai declared as reported by IOL online newspaper. He also stated to the same source that the service was creating a «climate of apathy» and was not able to meet «the requirements of professionalism and scientific and technological training».